Motorcyclists are aware of the risks that come with riding a motorcycle. In the Unites States alone, there are 1.2 million people injured in motorcycle accidents every year. Many injuries are quite mild; cuts and bruises are common. However, injuries can be severe, too. Brain injuries, paralysis and death can occur. • Burns: Burns can be a result of fire, hot fluids, or the exhaust. Severe burns are a real possibility in any motorcycle accident. Burns are slow to heal, very painful, and potentially require plastic surgery. Even with surgery, burns can be permanently disfiguring. • Spinal cord injuries: Paralysis and a lifetime of expensive medical bills are a real possibility. 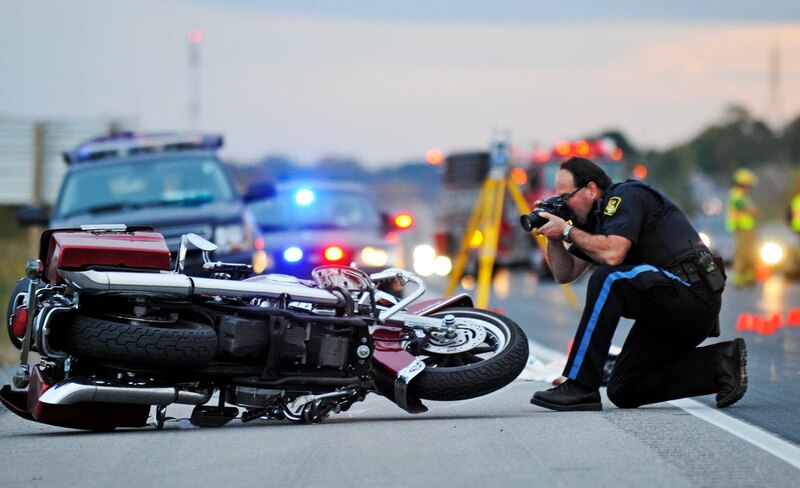 Motorcycles offer little protection in the case of an accident. This type of injury often results in needing around the clock care, care that is very expensive. • Road rash: Even with expensive protective suits, boots, and gloves, its still possible to overcome the protection offered by this gear. Most cases of road rash will clear themselves up, but infection is always a concern. • Broken bones: Pavement and other vehicles are hard; when coupled with even a moderate amount of speed, the conditions are perfect for broken bones to occur. Broken bones can require expensive surgery, rehabilitation, and result in lost wages. 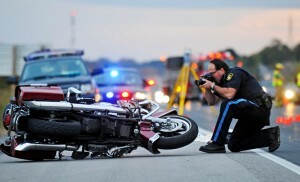 • Traumatic brain injury: 21% of all motorcycle injuries are head injuries. Most brain injuries are permanent and result in permanent disability. Wearing a helmet is a good idea, even if not required by law. • Amputation: Not common, but amputations do occur. Of course, this a permanent, life changing injury. Expect medical expenses that last a lifetime. • Death: Death is a real possibility in many motorcycle accidents. Medical bills and funeral costs can be very expensive. There can also be what would have been a lifetime of lost wages. If you’re involved in a motorcycle accident, ensure that you receive all the monies you’re entitled to. An experienced vehicle injury attorney will help you recover the money you deserve. Remember, it’s not just the immediate medical expenses; it’s also the pain and suffering, lost wages, and long-term care. These are serious financial concerns that require expert assistance to ensure the best possible outcome.